Centrepoint North & South office at Mid Valley City are two impressive structures of metal, concrete and glass curtain walls that will come complete with fine finishes, dedicated lobbies and state-of-the-art security features. 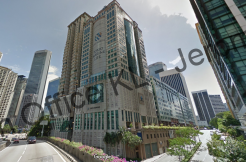 Located at the middle of Mid Valley Megamall, the two office buildings provide convenient access to the Megamall and The gardens Shopping mall from its 1st floor direct entrance. The strategic location within Mid Valley City itself is an additional bonus other than putting your office address in this self-sustain city. Both Centrepoint North & South are located within MSC Boundaries. The building offers MSC office space for rent. Surrounding the buildings are Gardens Office Tower (Gardens North and South Tower), and Menara IGB in Mid Valley.